If someone you know is house hunting in Red Deer, you could help them and help yourself to $2,500 for your referral to The Park. 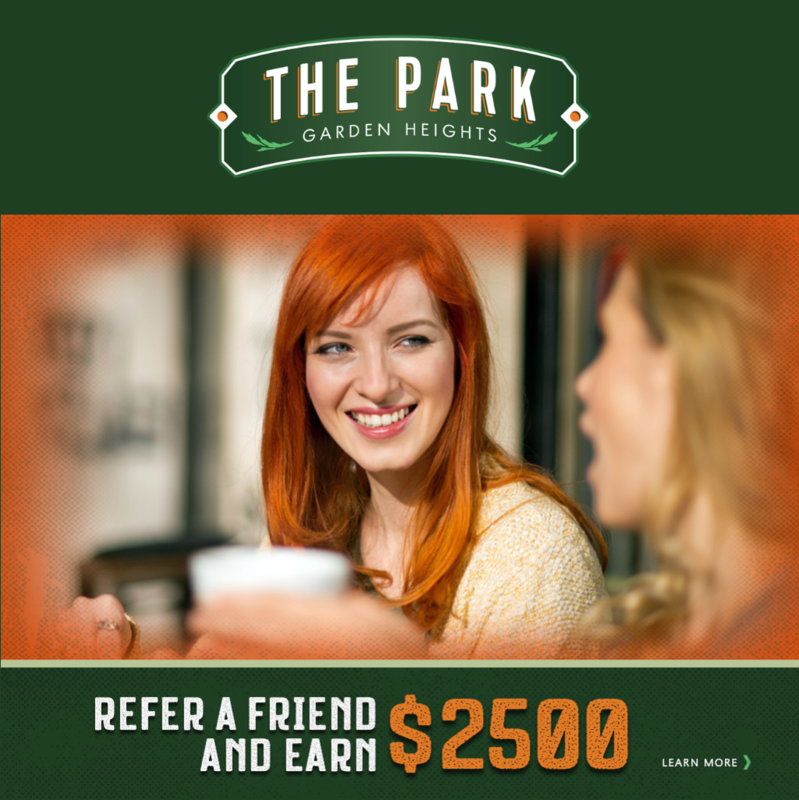 Plus, $2,500 for any additional referrals you make to The Park! Fill out the form and bring to The Park sales centre & showhomes with your friend or family member and we’ll take it from there! If your referral purchases, we’ll give you $2500 when your referral takes possession of their new home. It’s the easiest $2,500 you’ll ever make! *Your friend or family member cannot be working with a Realtor or have been to the showhomes with a Realtor prior to your introduction. If another person has referred your friend, the first person to register will receive the referral fee. You will receive your referral fee when your friend or family member takes possession of their new home. See sales representative for details. Subject to change without notice. E.&O.E.